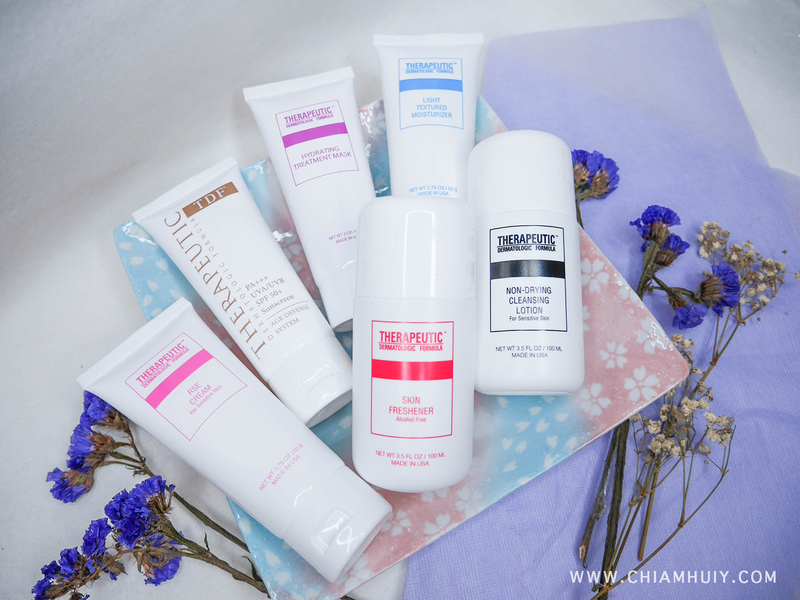 Previously I reviewed the TDF oily and acne skincare range. This time round, I'm tasked to have a look at their other skincare range for the Sensitive and Dry skin. I have rather sensitive skin, and in fact I am seeking dermatologist help in rectifying my skin condition. 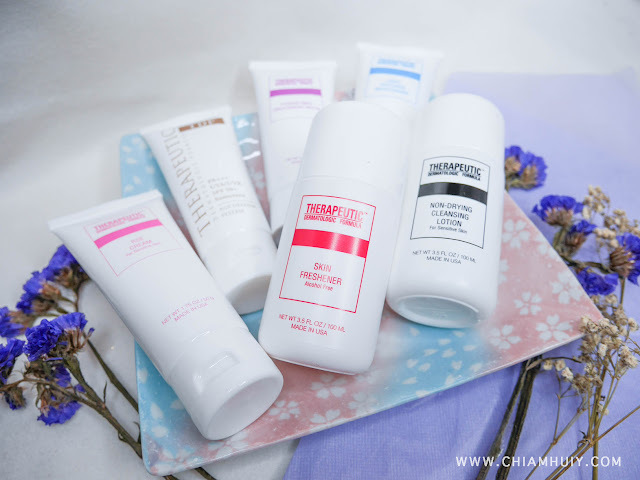 So let's have a look at this skincare range from Therapeutic Dermatologic Formula. It's established first in USA and later in Singapore in 1994. A pioneer in alpha-hydroxy acids (AHA) glycolic acid formulations, it has earned respected name in the field of aesthetics dermatology. 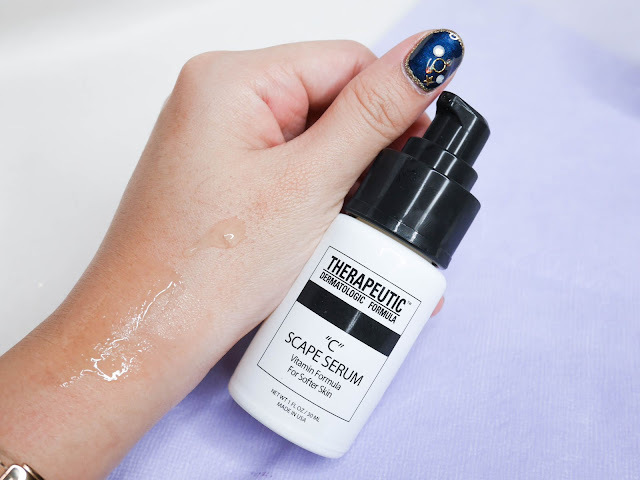 Mainly using science-based aesthetic solutions with superior quality and proven efficacy, these Therapeutic Dermatologic Formula skincare products aim to deliver visible results to your skin. Some of their specialised areas include acne, pigmentation, ageing and photo-ageing. 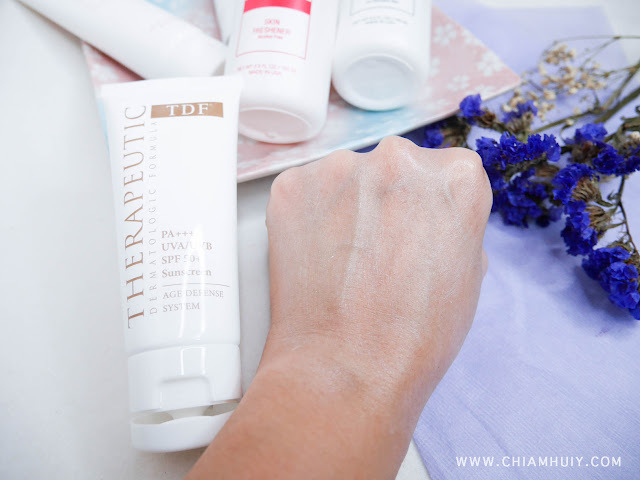 Therapeutic Dermatologic Formula skincare is mostly available through dermatologists, plastic surgeons, medical practitioners and pharmacists, so it's definitely no ordinary brand you usually encounter. 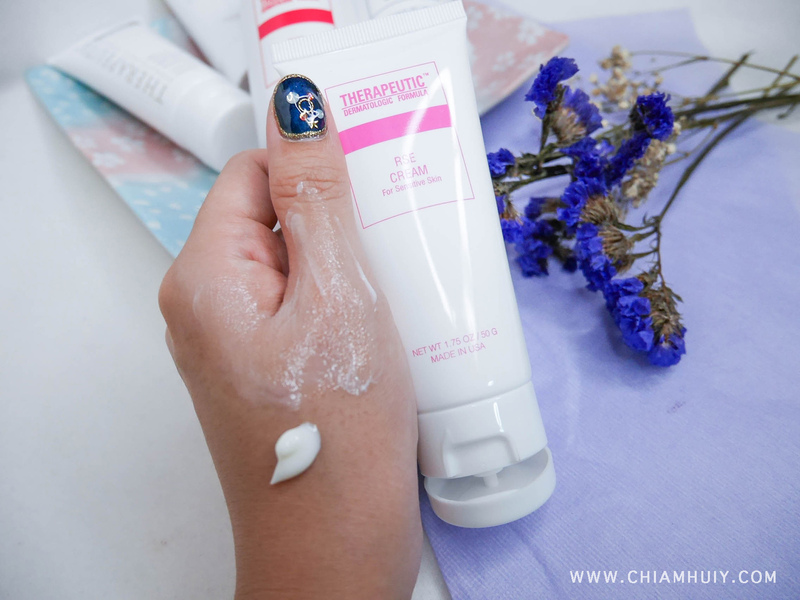 For cleansing, you may choose to use this cleansing lotion to remove facial impurities or make-up and other impurities without stripping skin’s vital moisture. Direction: Massage gently to soften and remove dirt and other impurities. Rinse well and pat dry. 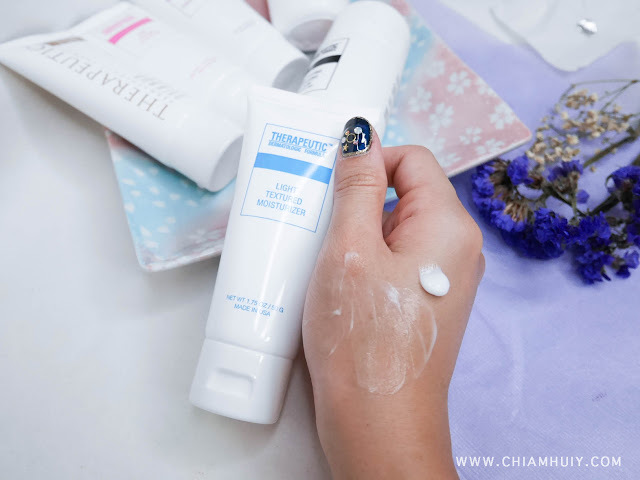 This product feels just like cream so it doesn't strip off your moisture despite this added step of cleansing. 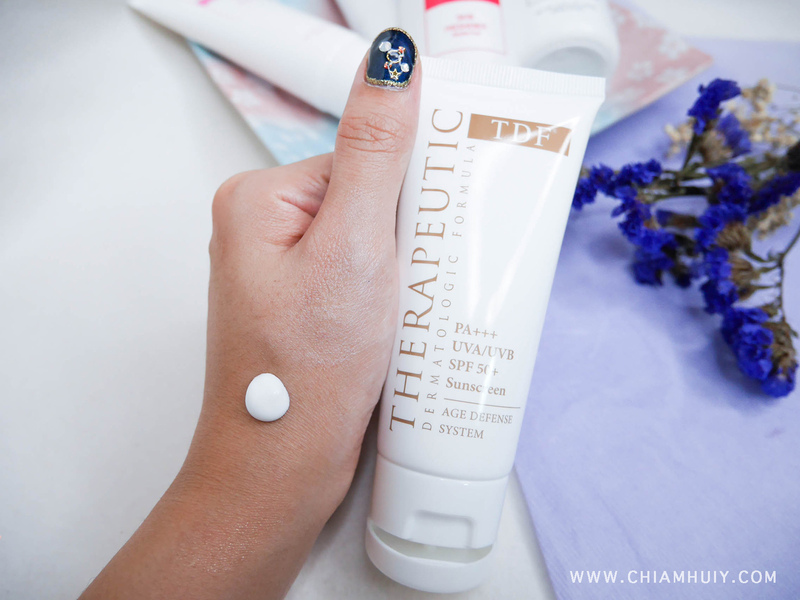 Stabilize your skin’s pH level to enhance absorption of treatment products later. The TDF Skin Freshener is a non-drying toner, alcohol free and is suitable for dry, normal and even sensitive skin types. Direction: Soak a cotton pad and apply to acquired areas or directed by your physician. Unfortunately, i have to warn that some of the TDF products can smell quite tingy or medical before this is after all a medicated dermatologist-formulated products. Thankfully, the Skin Freshener smells very pleasant and is very gentle on the skin! This product is actually quite interesting. I was told that I has to refrigerate this product because I have to prevent it from oxidising. This serum stimulates production of collagen and elastic tissue and promotes skin lightening, reducing fine lines and wrinkles. 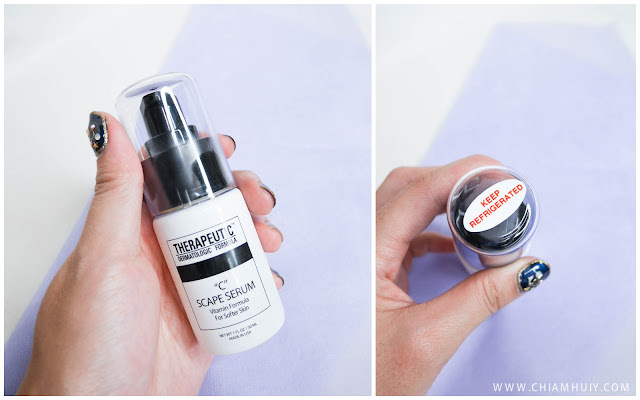 Review: It definitely feels good to apply a cooling serum onto the skin, although it feels a little tight after it dries up. Nonetheless, problem easily solved with applying moisturiser afterwards. The tightening effect seems to go well with the reduction of fine lines wrinkles, don't you think? 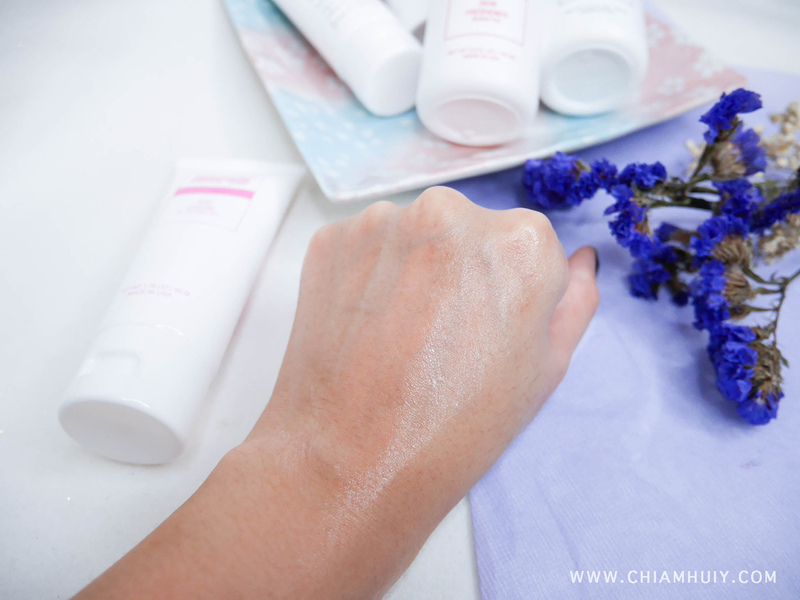 To hydrate the skin, move on to the RSE Cream. When first applied, it may look a little greasy and wet, but it soon get absorbed to leave a matte moisturised texture. RSE is enriched with Vitamin A, Squalane (to facilitate vitamin absorption) and Vitamin E to rejuvenate dry, dull aged skin. It is an excellent moisturizer for firming saggy skin as well! At the end of the day, don't forget to put on the most important skincare step - the sun screen! Make sure it also contains UVA and UVB protection, like this TDF Age Defence System SPF50+ Sunscreen. PA+++ gives excellent protection against photo-damage. Enriched with Ubiquinone (CoQ10), a powerful antioxidant, this cream moisturizes skin from within to improve overall skin smoothness. This cream also provides weightless coverage, giving your skin a healthy and a natural glow for a radiant complexion. Review: This suncreen is pretty watery at first touch. But upon application, it gives a mild whitening effect, but the coverage isn't too high to pull off as a tinted sunscreen. Nonetheless, it works fine on the skin and I like the texture! Slightly greasy but overall still ok. I reckon it's due to Age Defence System so it's slightly more moisturising. 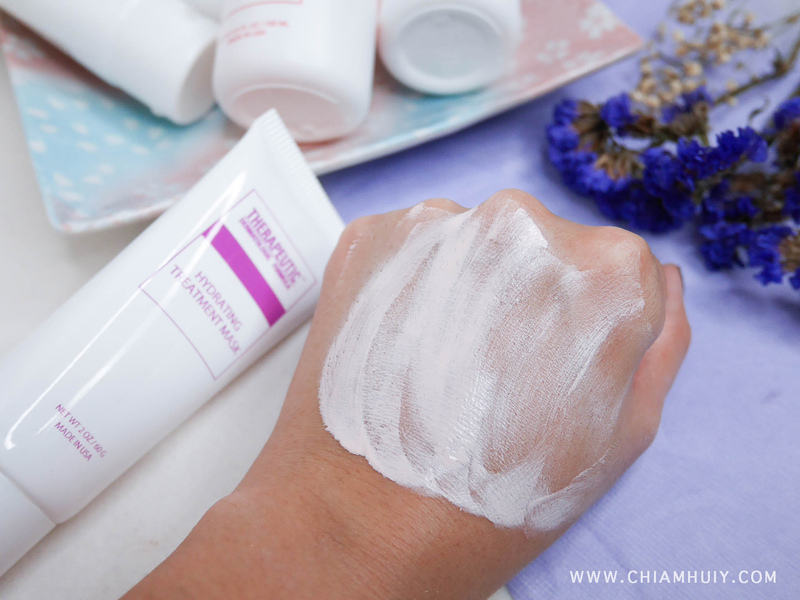 Replenish your skin's moisture and reduce blemishes with this Hydrating Treatment Mask. Your skin will look more supple almost instantly! This hydrating mask is enriched with Avocado Oil and Vitamins A, C and E for optimal moisturizing properties. 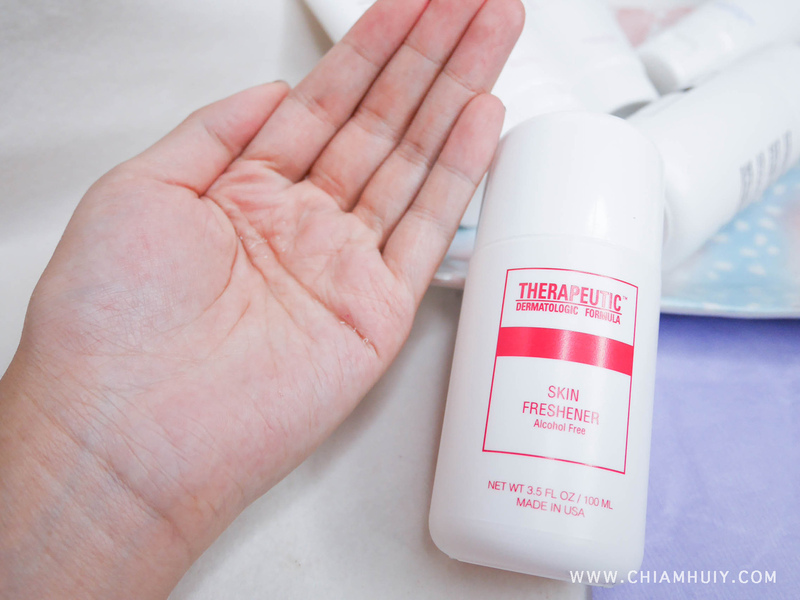 Review: This mask seems to pull off as a clay mask, and it dries up quite fast. I would treat this as a weekly mask to replenish my moisture and calm down those angry blemishes if needed. Direction: Apply sparingly to damp skin after thorough cleansing or as directed by your physician. Apparently, even my doctor at The Clifford Clinic also uses some of Therapeutic Dermatologist Formula (#TDFskincare) products. 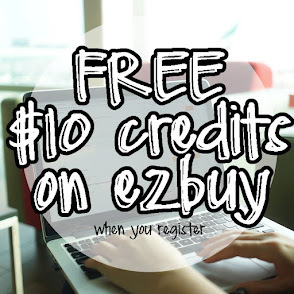 These products are mostly found online, or prescribed by dermatologists. I wouldn't suggest you to buy it off the shelves on your own because both you and I might not be that knowledgable about these products. Seek physician or your dermatologist's advice on these products if need be!